In a recent issue of Famitsu, a few developers left comments about the upcoming release of The World Ends with You: Final Remix. These include director Tatsuya Kando, Square Enix’s Tetsuya Nomura, and more. We have the full translation of the comments below. Members of the development team spoke about some of the new elements in the Switch version, among other topics. Sorry about the wait, everybody! The World Ends with You is finally coming to the Nintendo Switch! When making the Nintendo DS version of the game, we tried to fully take advantage of the system’s hardware and limitations – this time, we’ve customized the game to be a perfect fit for the Switch. In TV mode, you can truly “share” the gameplay with a friend by utilizing the second Joy-Con and enjoy the newly revitalized graphics for an even more amazing-looking experience. But of course, the main draw to this version of the game is the brand-new scenario! After clearing the game, Neku and the others are embroiled in another conflict – what exactly is going to happen to them!? And how is all of this related to the mysterious girl that appears!? New Noise monsters and pins will also make an appearance! You’ll definitely want to play to the end, I’m sure of it. Anyway, there’s only a little bit more waiting until release; I hope you all enjoy the game! Over the course of the Nintendo Switch version’s development, I was tasked with managing how the Joy-Con would feel in-game. I wanted Neku’s movement to be dynamic, even responding to slight movements of the hand (all Psychs are compatible with the Joy-Con’s HD Rumble!). In the game’s brand-new scenario, we’ve included a new story, of course, but there are also plenty of new pins the player can use as well – we definitely hope you’ll enjoy those. If the battles are a little difficult, we recommend that you try out having a friend be your player two with the second Joy-Con! With all of these new features, this is truly the definitive version of the game – we hope that you’ll enjoy it to the very end! 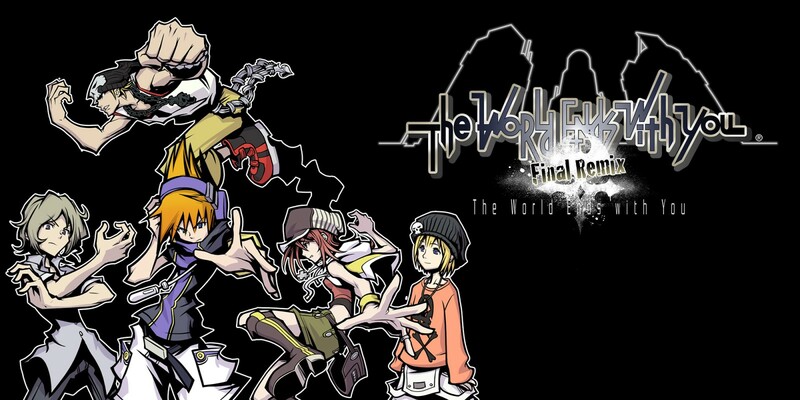 The World Ends with You begins anew! We really did create Neku and the others a long time ago, huh? It’s been 11 years since we released the Nintendo DS version of the game… That’s pretty moving, actually. In addition to the Final Mix version’s updated graphics, there’s also brand-new art that the player will be able to see by playing through the game’s new scenario. I’m sure that players who enjoyed the previous versions will enjoy the surprises and freshness that this new version brings. The game has truly been powered up on all fronts, so I really hope that you all enjoy it. I had first heard about the Nintendo Switch version of the game’s scheduled release date just as I was resigning from Square Enix. The original came out 11 years ago for the Nintendo DS… I remember thinking to myself: “Is that really when we released it?” with a bit of skepticism. But that’s when it came out, all right. (laughs) The hardware has certainly changed, and there’s a new scenario, so I imagine that playing the game now would feel a bit differently from those days. Concerning the music, on the Nintendo DS version we generally had to utilize shorter versions of the songs, but this time we were able to include full-size versions of the songs – including rearranged versions of them all. For instance, the new song “Shadow” is almost like a different genre; so, I hope you all are able to enjoy this revitalized soundtrack!